Texas A & M University-Corpus Christi received a A.
U.S. News & World Report's ranking of 91 out of 268 of National Universities High School Counselor Rankings was a major contributor to this grade. One of America's top regional universities, Texas A&M at Corpus Christi offers a diverse education and uniquely small classes in a variety of fields to over 7,500 undergrads. 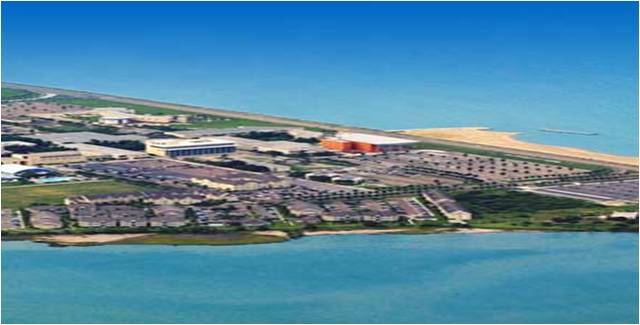 The campus is located on Ward Island - making A&M-Corpus Christi the nation's only campus on its own island (and certainly one of the few with a Hurricane Defense Plan). Describe the type of student who should not attend Texas A & M University-Corpus Christi and explain why. Describe the type of student who should attend Texas A & M University-Corpus Christi. Why? What is a typical Texas A & M University-Corpus Christi student like? Describe the type of person that should attend Texas A & M University-Corpus Christi. If good weather and studying in paradise with great, supportive teachers is important to you then this is your college home. Students here are diverse but friendly. What are the top 3 reasons someone should attend Texas A & M University-Corpus Christi? Great teachers Come to the island and enjoy your college career. What was a typical Texas A & M University-Corpus Christi student like in high school? Describe the type of person that should attend Texas A & M University-Corpus Christi. Exploring the depths of the Gulf of Mexico, performing on the finest stage in the Coastal Bend and undertaking new research to improve the lives of those in our community form the enriching experiences offered at Texas A&M University-Corpus Christi. We're an active campus where our students, faculty and staff make all the difference. Picture yourself in a tropical environment where top-notch academics and cutting-edge research are blended into a robust lifestyle. Texas A&M-Corpus Christi is the only University in the nation located on its own island. The area's premier institution of higher learning enrolls more than 10,000 students and is part of The Texas A&M University System. A&M-Corpus Christi's location on the Gulf of Mexico and on the cultural border with Latin America shapes its focus and provides the foundation for gaining national prominence. Our five academic colleges offer bachelor's, master's and doctoral degrees from highly accomplished faculty, 90 percent who hold the highest degree in their fields. Students receive a personalized approach to teaching with a student-to-faculty ratio of 20:1. What are the top 3 things that students do for fun at Texas A & M University-Corpus Christi? Campus housing is available for undergraduates. Housing deposit : $200.00. Housing deposit is not refunded if student does not enroll.. Freshman allowed to have car. No pets. 15% of freshman live on-campus. The average student pays $11,722 for tuition, fees, and other expenses, after grants and scholarships. Total stated tuition is $4,494, in-state and on-campus, before financial aid. Learn more about financial aid at http://osfa.tamucc.edu. Estimate the net price for you at http://prospect.tamucc.edu/cost.html. The typical (median) early career salary of Texas A & M University-Corpus Christi graduates is $43,500, according to Payscale. Texas A & M University-Corpus Christi participates in the NCAA Division I-AAA for college athletics. Want more info about Texas A & M University-Corpus Christi? Get free advice from education experts and Noodle community members.